San Diego is known for its warm climate, scenic attractions, and gorgeous properties. One of the standout realities of living in San Diego is the type of doors and windows that are seen around town. A lot of people will notice the presence of vinyl windows in San Diego, CA if they start to pay attention. There are many reasons why vinyl home windows in San Diego are not only seen around town but are asked about all the time by locals. Here is a look at some of these reasons and why locals are continually moving towards vinyl windows with each home improvement plan. San Diego is known for its warmer weather and that means the air conditioning is going to be running constantly. Of course, people don’t want to spend money on energy but it is a part of life especially in the inland areas. With vinyl windows, this becomes less of a worry since there is a natural quality to the material that regulates temperature. The sun is not going to bake down the interior and will have a reduced impact on how people feel indoors. This is going to help keep the electricity bills down throughout the year. Higher than usual energy bills are usually a sign that it’s time to update your windows. Maintenance is a problem and people don’t want to deal with this all the time. Instead, they want a solution that will take seconds to install and then is going to slip into the background. Anything more is a waste of time and is just not worth it for people. This is why property owners have fallen in love with the material and all that it has to offer. The ability to let it sit without a worry is something people crave and it doesn’t get more durable than this. What is one benefit that does matter to most property owners? It’s the idea of being able to save money and not having to spend a lot on windows. Now, there are many details to think about but affordability is always going to be on a person’s mind. In this case, a person will save a lot of money as this is one of the most affordable options in San Diego. Locals adore working with this material since it is not going to cost an arm and a leg. Now, this is one of those reasons that people will push aside at first but it does have a role to play. The amount of customization that can be done with these windows is a lot higher than other related options. This makes it a no-brainer for individuals wanting something that exudes a bit of personality and has the right type of quality to it. This is what customization is all about at the end of the day. These are some of the details that can be customized with vinyl windows. Learn More. Vinyl windows have a plethora of advantages and their popularity continues to rise with each passing day. This illustrates the beauty of choosing this material and making it your own as a property owner. We’re here to help too. 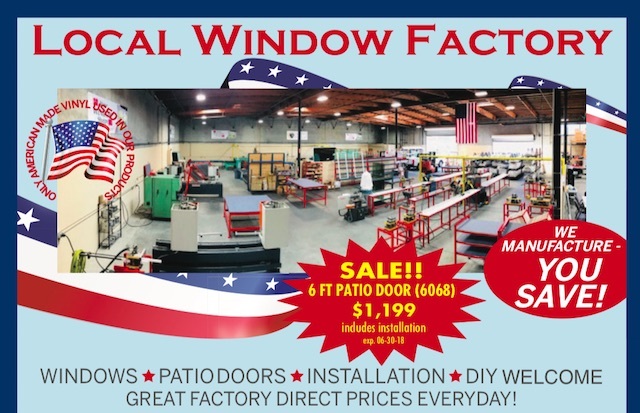 Contact Your Window Shoppe or visit out showroom at 2445 La Mirada Dr, Vista, CA 92081 or calling (760) 727-0001.